A male Rock Dove courts a female on a look-out at Fort Jesus, Mombasa, Kenya. January 2012. 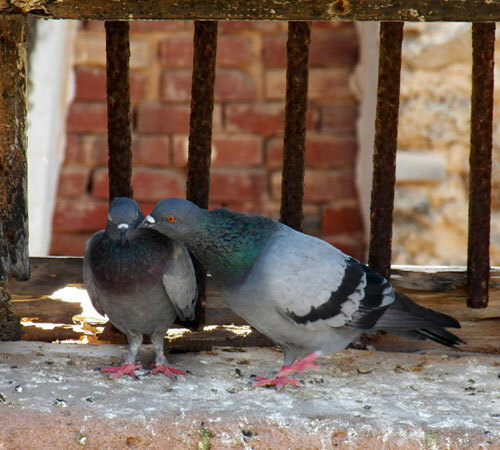 There are probably fewer major cities in the World without Rock Pigeons than with. These birds, progenitors of and escapees from the domestic pigeon, are adapted to cliff habitats in Europe. Buildings, rooves and building overhangs are a superb substitute.